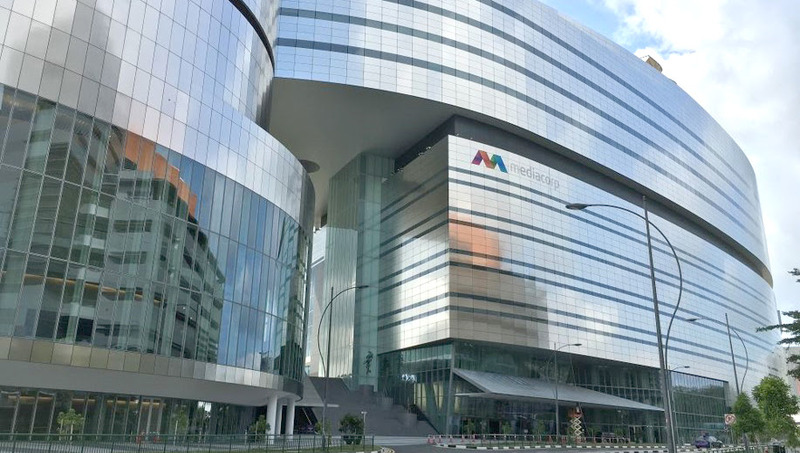 Mediacorp, Singapore’s media company, has now finalized the installation of its new media campus’ technical facilities which includes a huge deployment of EVS technology. The new broadcast center will act as its main production and editorial headquarters. An end to end technical workflow is installed throughout the center’s two large studios, post-production facilities, newsgathering and broadcasting facilities. XS production servers ingesting content which are managed by several IPDirector live production asset management systems while ten applications allow for electronic newsgathering (ENG) crews to ingest additional content from camera cards. The core of the infrastructure relies on 42 XTAccess transcoding and transfer engines and eight additional servers supporting IPDirector and Xedio applications across the network. At the heart of the system is EVS’ XStore SAN storage – a 492TB system which has the capacity to store 12,000 hours of high-resolution or 20,000 hours of low-resolution content.